Blackouts, Zika, recession and now this: a two-day work week. This is life in Venezuela, a crisis-stricken country. Venezuela's President Nicolas Maduro decided Tuesday night to shorten the work week to two days -- Monday and Tuesday -- in an effort to save energy and electricity. The country's most important source of electricity, El Guri dam, has record-low water levels. Maduro had previously announced earlier in April that all Fridays through May would be holidays for public sector employees. Now Wednesdays and Thursdays will also be holidays for public sector workers at least until the end of May. Maduro said the upcoming weeks will be "critical and extreme" for the country. It's the latest setback for a country riddled with an economic crisis, political infighting, food and medical supply shortages and the Zika virus. Expert say the power crisis could be the last straw for Maduro. "The power crisis is likely to hit Mr. Maduro's popularity and this could ultimately prove to be his undoing," says Edward Glossop, an emerging markets economist at Capital Economics, a research firm. According to Venezuela's statistics, there are roughly 2.6 million public sector employees, which represents about 20% of the country's workforce. It's still officially unclear if Venezuelans will be paid for all five days of work or just two days. CNN Español first reported the news Tuesday evening (link in Spanish). Venezuela's economy shrank 5.7% last year and it's projected to contract another 8% this year. Inflation in Venezuela is estimated to rise nearly 500%, according to the IMF's latest projections. Its currency, the bolivar, is worth less than a U.S. penny on the black market, where most Venezuelans exchange dollars for pesos. 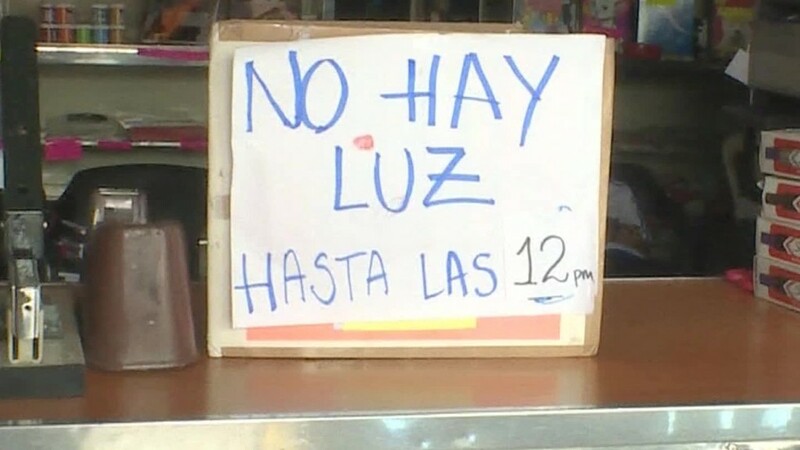 Maduro is taking drastic measures to save electricity. This week his government began a schedule of rolling blackouts in much of the country. Caracas, the capital, is excluded from the blackouts because the federal government is there, and some tourist destinations will be able to keep the lights on. Hospitals won't be affected, according the government. Venezuelans are already accustomed to blackouts but the government's decision underscores the burden everyday folks must live with. Millions of Venezuelans will lose power for four hours a day until the end of May. Maduro also plans in May to move Venezuela's time zone ahead by half an hour to give people more working hours and also to save electricity. The energy minister, Luis Motta Dominguez, said last week the blackouts could continue beyond May if water levels at El Guri continue to fall. Maduro blames El Niño weather pattern and a drought. But outside experts say that's only one part of the root cause. "It's a problem of incompetence," says Michael Shifter, president of the Inter-American dialogue, a Washington research group. "The fundamental cause Is mismanagement, corruption, which is the explanation for the country's overall crisis." CNN's Rafael Romo contributed reporting from Atlanta. Osmary Hernandez contributed reporting from Caracas.